Floods have drenched much of the United States in last couple of weeks, with high water levels that ruined homes and businesses and dealt devastating losses to their owners. A less-publicized casualty of these natural disasters is the number of flood-damaged cars left behind, such as the estimated 500,000 cars that were damaged by Hurricane [source: Insurance Information Institute]. When subjected to deep flood levels, soaked cars are often classified as totaled and are demolished. Some flooded automobiles, though, end up on used car lots. 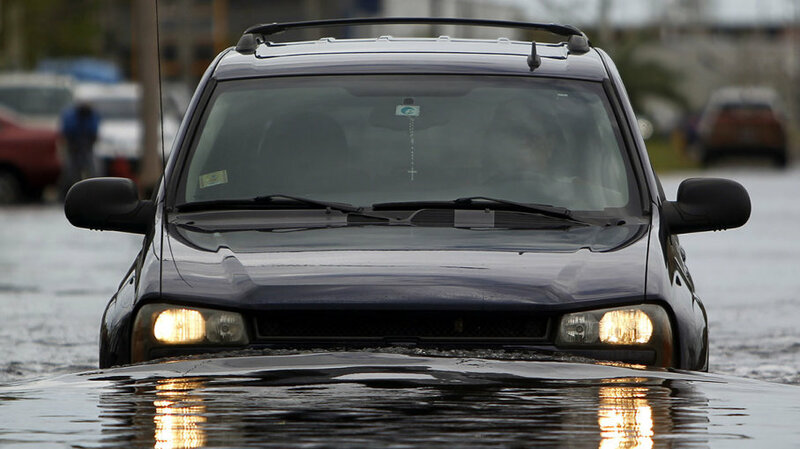 Buyers beware: Not all dealers are up front when a car has flood damage, and it can cost you. Even if a car looks good and seems to run fine, expensive problems can appear later as corrosion continues to creep inside critical components. Flood-damaged cars can also cost more than money: These automobiles can be dangerous to drive and the results may even be fatal. 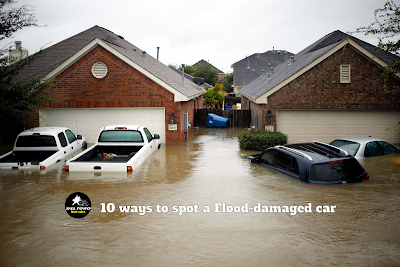 Unfortunately, flood-damaged vehicles can be hard to spot, but knowing the signs can help. Here are 10 ways to determine if a used car is a clean machine or a juicy lemon. A good place to start when buying a used car is to talk to a reputable dealer. Long-time dealerships with good histories won't risk their reps by ripping off their customers. With any dealer, ask if the car you're eyeing has been damaged by floods, and get the answer in writing. Anything less than a firm "no" or any hesitation to commit to that answer in writing are causes for concern. Ask the dealer to let you look at the title, too. You can see if the car came from a flood-damaged region, and you can check for a stamp that reads "Flood" or "Salvage," required by law in some states. 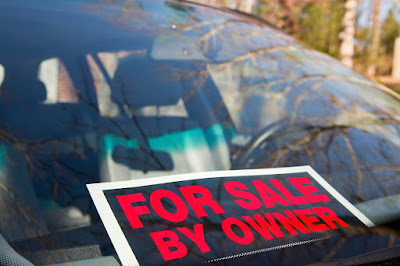 Finally, beware of used cars with price tags far below market value without explanation. There's usually a reason. he quickest way to sniff out whether or not a car has flood damage is to literally sniff it. It's very difficult to completely rid a flood-damaged car of its moldy aroma, and mildew formation is a sure sign that the car was exposed to significant amounts of water. This unpleasant smell is a helpful clue for prospective buyers. If you smell the mold right away, you're probably looking at a flood-damaged car. If you aren't quite sure, however, close the windows and doors, sit inside, and give it a good long sniff. In addition, you may appreciate the pleasant scent of an air freshener, but be warned that strong air fresheners may be a sign that the dealer is covering up a less agreeable odor. Along with your sense of smell, your sense of touch is important to sensing moisture in a used car. Water from flooding tends to collect in locations even the dealer may miss. Run your hands along the carpet and pat it in different spots to try to locate moisture. If you're able, peel back the carpet to see if you can feel moisture between the carpet and the car body. You may also see other signs of water damage, such as rust, by looking under the carpet. Be sure to open the trunk and feel around the carpet there, as well. Then take out the spare tire and feel the material underneath. This is a location where water tends to collect, and it can be missed during even the most thorough of preparations for the lot. Corrosion is a common affliction in flood-damaged cars. The damage you see today isn't the only ramification of rust: Corrosion continues to eat away at materials long after the car is dry. Rust and corrosion are often visible. Look for signs of corrosion on metals both inside and out. If you see rust on screws, door hinges, hood springs, trunk latches or brackets under the dashboard, for example, you know those metals had significant contact with water. To check even more thoroughly, open the doors and look at where the door meets the body. Corrosion often occurs in that corner. In fact, check all four doors, including the bottoms, inside and out. Finally, use a mirror and look below the seats to see if the springs are rusty. Use the mirror again to check the undercarriage of the car for flakes, metal that's been eaten away and other signs of corrosion. The upholstery that covers a car's interior can uncover a flood cover-up, too, with close inspection. Take a careful look at all the upholstery -- front, back and under the seats -- to spot blotchy, brown water stains. Another clue is the quality of the carpet. If the car is 10 years old but the carpet looks new, be suspicious. Likewise, if the upholstery doesn't appear to match, with sections that are a different color, faded, newer or with patterns that don't line up, then someone may have removed water-stained patches. Loose carpet, too, requires further scrutiny. Don't forget to compare the floor carpet to the upholstery on the doors and the roof to be sure they all appear to be the same age and color. A compromised electrical system is a critical and potentially life-threatening hazard inherent in cars exposed to high waters for extended periods of time. You'll want to test the car extensively to ensure all electrical components are operational. First, poke your head under the dash and gently bend the electrical wires to see if they're brittle. If they are, you've likely detected water damage. Water damage to the rest of the electrical system is harder to view, however, so you'll need to take the car on a test drive and try out all the electronics. Changes in the color and viscosity may indicate that water has gotten into the engine's oil. If you're accustomed to checking your own oil level and quality, you may be able to spot a flood-damaged vehicle by performing an oil check. Oil in a flood-affected auto will be a different color, sometimes compared to coffee with milk or a chocolate milkshake. The oil may be pale when it should be dark. Oil that's been affected by flooding may also feel sticky to the touch. While you're under the hood, check the paper air filter, too. If it has water stains, that's another clue that water has seeped in where it shouldn't have. There are some areas of a car that won't dry no matter how hard someone tries to cover up flood damage. Look closely at all lamps. Headlights and taillights may appear foggy when water has accumulated inside. The same can be true of the instrument panel, and interior and exterior mirrors. If they appear foggy, they, too, may have moisture that hasn't evaporated. Water also tends to pool in the overhang inside the wheel well, so check for signs of dampness, corrosion or tell-tale water lines. Examine the doors and trunk for any water lines as well; they indicate how high the water level may have been when the car was flooded. While a car is sitting (or floating) in a flood, the water carries in all manner of debris, such as grass, dirt, sand and silt. When the water level recedes, the water itself may be gone, but much of the debris remains. It's difficult for someone cleaning a car to remove all of it. If you do find debris in these areas, the car may have been sitting in water for a while. Even a used car is an investment, and you don't want to buy a damaged car that will cost you tons of money in the long run. If after your own inspection you still aren't sure the car is completely dry, hire an expert. 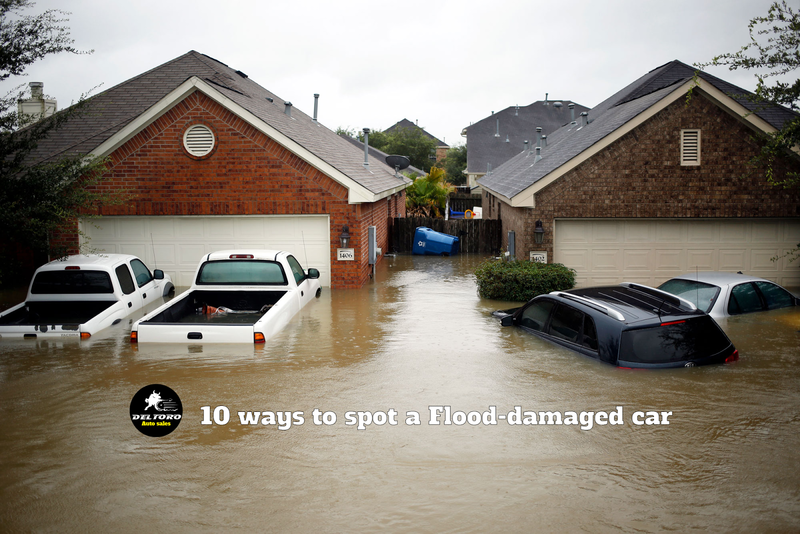 A good mechanic will know where to look for signs of flood damage. That's especially true of places you may not know how to examine, such as the alternator, certain wiring mechanisms and pumps. The mechanic should also take the wheels off and inspect the brakes and wheel components, which can carry tell-tale remnants of a flood history, such as silt and mud. We at Del toro auto sales provide you with a car fax on every car we sell so you can by with confidence that our inventory doesn't have any hurricane affected vehicles for sale. If you have any questions or questions about a vehicle car fax, please call Del toro auto sales at (888)324-2978 or contact us on our website.